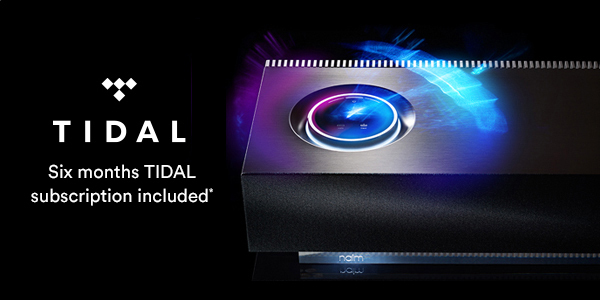 From now until 16th April 2018, customers who purchase a Mu-so or Mu-so Qb (U.K. and Ireland only) can receive a free six months TIDAL Hi-Fi subscription (worth £120). TIDAL has a catalogue of over 48.5 million songs and more than 200,000 high quality videos. The service offers high-fidelity, CD sound quality, high quality video, expertly curated content and unique offline experiences for members. All the music you need and great sound from a stylish, compact one-box system; perfect. Naim Mu-so (RRP £995) or Mu-so Qb (RRP £649). Both in stock now at Adventures.